VietNamNet Bridge – The Son Tra Nature Reserve – the green lung of Da Nang - will turn into a desert, and the world’s biggest population of red-shanked douc langurs (Pygathrix nemaeus) will become extinct unless rapid development of hotels and resorts there is not stopped. The warning was issued by the head of the representative office of the Frankfurt Zoological Society (FZS) in Viet Nam, Dr Ha Thang Long, who spoke to Viet Nam News about the poor management and planning of the Son Tra Peninsula that has shrunk wildlife and primate habitats. Red-shanked douc langurs have been declared endangered by the International Union for the Conservation of Nature (IUCN). “Stop construction. Do not build any hotels in the reserve. The Son Tra Nature Reserve, which was partly hurt by unaware human activities, should be conserved in a special regime,” Long said in an interview. “Son Tra Mountain, included in the Nature Reserve, is vulnerable to human activities that cannot be tolerated as it was in past decades,” Long explained. He said the 4,300ha Nature Reserve occupies a precious and rare biodiversity of mountain, forest, streams and ocean (sea and coral reefs) and a 30km-long beautiful pristine beach. “The reserve could absorb 4,500 tonnes of carbon to emit more than 3,200 tonnes of fresh oxygen. 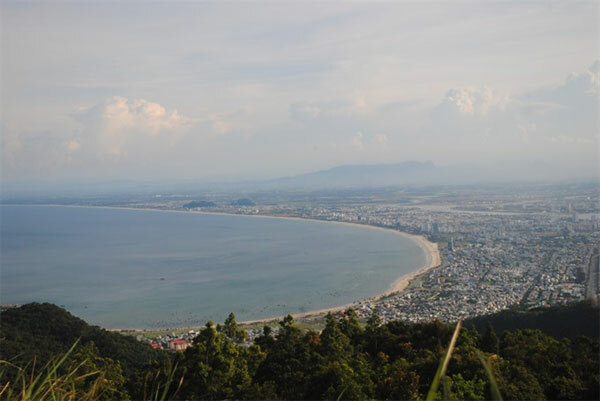 It supplies enough oxygen demand for 4.3 million people each day, and tourists always feel pure and clean air when visiting Da Nang and Son Tra Peninsula,” he explained. Biologist Tran Huu Vy, who conducted decade-long research of biodiversity in the Son Tra Nature Reserve, said an estimated 30 per cent of the habitat of fauna and flora species has been damaged due to mass construction of resorts and buildings. According to GreenViet’s latest survey, over 20 streams in the reserve have dried up – the worst in 20 years, while hunting and illegal logging have seen increasing in recent years. Poor management and lack of environmental protection awareness also results in visitors and builders leaving waste, he added. Vy, who was director of the Centre for Biodiversity Conservation (GreenViet), an NGO working on Son Tra biodiversity protection, said the reserve hosts around 10,000 visitors each month. He said noisy vehicles (motorbikes, coaches) also disturb the habitat of primates and wildlife. He said noise has a harmful impact on the existence of the endangered red-shanked douc langurs, increasing their stress levels. According to latest report from the International Union for the Conservation of Nature (IUCN), the population of the red-shanked douc langurs is declining at over 80 per cent in the entire distribution range - mostly in Laos, Cambodia and Viet Nam - due to several threats. The decline is predicted to continue at the same rate or slightly higher in the next 30-36 years (approximately three generations). At a meeting last year, biologists and biodiversity researchers agreed to list the endangered langur as Critically Endangered, near extinction. 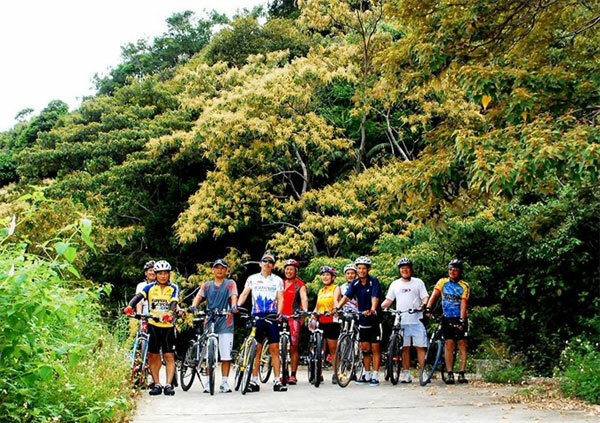 The city recently decided to suspend illegal construction of an eco-tourism project in the reserve - but only a year after it began. A large area of trees and bushes were already cleared for 40 foundations, columns and inner roads for the construction of 40 villas. Local officials explained that the project owner intentionally started construction when the infrastructure construction licence for the project had not been approved yet by the city. Local authorities also found 68 houses, villas and restaurants illegally built in the Son Tra Nature Reserve. 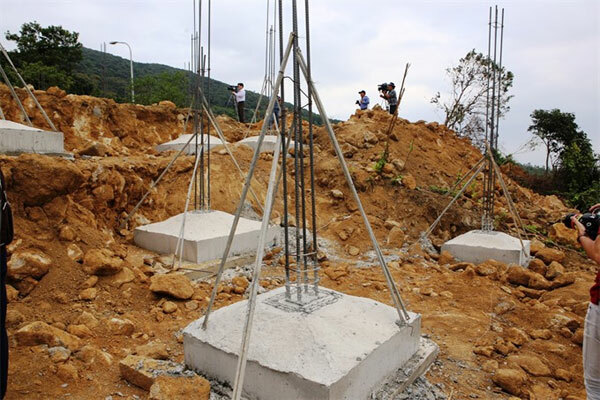 A biology lecturer at Da Nang’s Teachers’ Training College, Vo Van Minh, said environmental impact assessments of projects in Son Tra Peninsula was approved carelessly. He said environmental assessment is an effective technical barrier in dealing with polluted projects, but it has been administrated poorly by some agencies. The chairman of the city’s tourism association, Huynh Tan Vinh, who supports conservation of the Son Tra Nature Reserve for sustainable tourism development, said the city had built 600 hotels and resorts with a total of 22,000 rooms to host 15 million tourists each year. He said, however, only 50 per cent of the room capacity was used when the city only hosted 5.6 million tourists last year, while two and three-star hotels are still developing in the city. Vinh had sent petitions to Prime Minister Nguyen Xuan Phuc asking for an adjustment of the Son Tra Master Plan. Under a Government plan, Son Tra Mountain on the Son Tra Peninsula is planned as a national tourism site and a top luxury eco-tour resort complex in 2030, to accommodate 300,000 tourists staying in 1,600 luxury hotel rooms. It means that the 4,300ha reserve, which has shrunk from more than 4,400ha to 2,500ha to make room for dozens of other resorts and hotels in the area, is now reserving more than 1,000ha for the national tourism site. Son Tra Nature Reserve, which is 600m above sea level, is known for its rich biodiversity, with 287 animal species and 985 plant species. The development of resorts in the reserve actually conflicts with the city’s plan on the protection of biodiversity in Son Tra Nature Reserve through 2030. 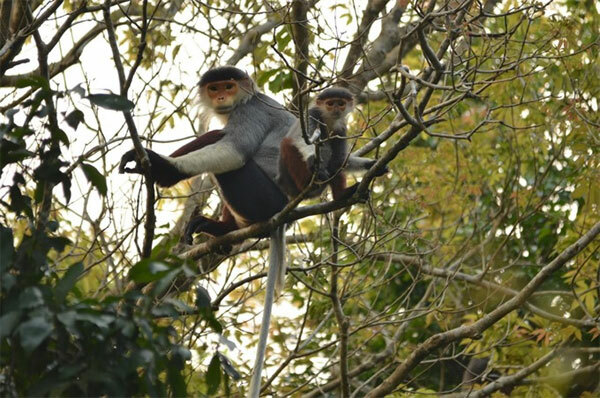 Vy, from GreenViet, said the Son Tra Nature Reserve was the most favourite site that tourists could see the red-shanked douc langur from a close range. Last year, the city agreed to make the red-shanked douc langur its symbol of biodiversity. But that symbol may also become extinct unless action is taken to preserve the critically endangered primates.